Along with tools like pens, pencils and paper to help you learn lettering, books written about hand-lettering can be a great resource to help you study! 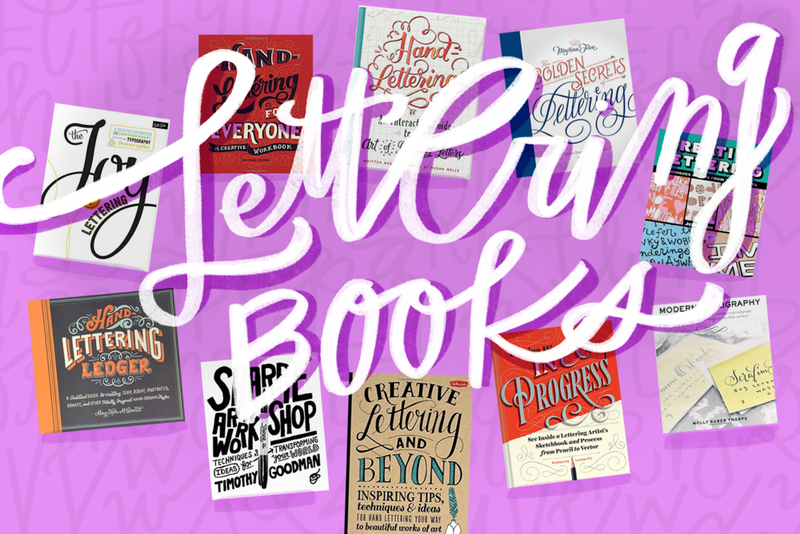 There are more and more lettering books out there to choose from with new ones coming out all the time so I wanted to talk about some of my favorites, some of the best and all of them written by amazingly talented and passionate artists. Each of these books offers something different in style, presentation and approach. While a few of them are less beginner-ish, they’re such a great inspiration as you study letter forms and style. You’ll find out soon enough that after all your practice and hard work, you’re not a beginner anymore and you’ll want to know where to get all the good info on taking your skills to more advanced levels. Packed full of worksheets and activities to prompt your creativity and learn new lettering ideas and forms, Cristina offers plenty of inspiration and room to try out different styles and layouts. 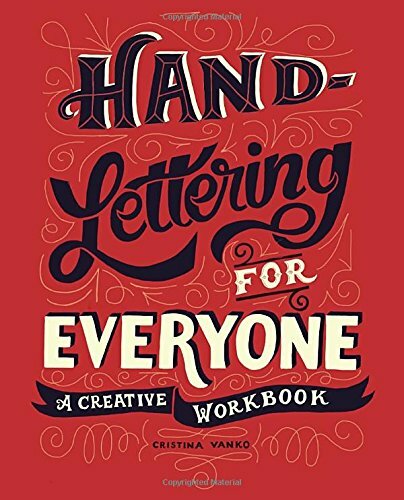 In the beginning, Cristina explains that the book is set up in a “I do, We do, You do” sort of way where she gives tips and examples, exercises and after getting through the book, you’ll have developed a hand-lettering style and confidence that’s all your own. 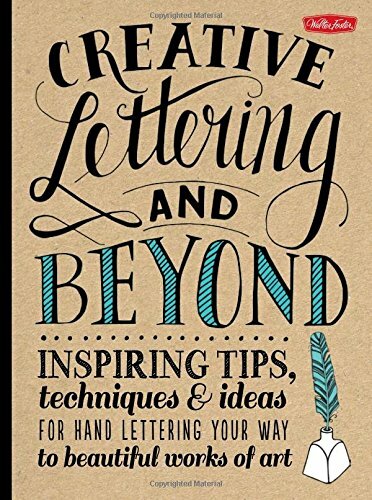 While this book is meant for people studying calligraphy and not hand-lettering, there are lots of tips, tricks and ideas that are really helpful if your style is more toward the calligraphy & brush script style of lettering. Molly filled the book with letter examples that change in style, but stay elegant and beautiful so you have a wide variety of letters to study. 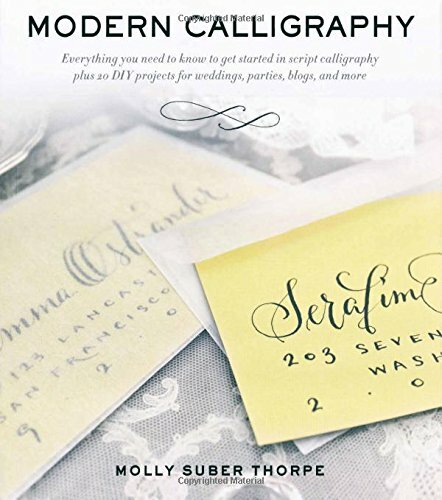 The last half of the book has 20 projects with great step-by-step instructions to help you create art and gifts that show off your gorgeous modern calligraphy lettering. 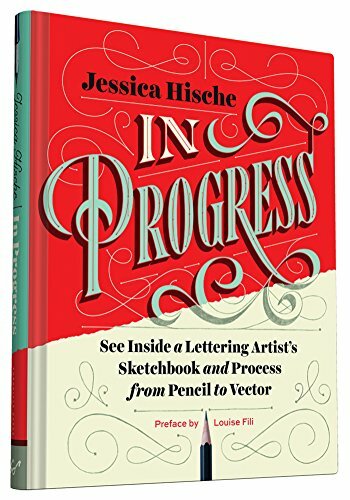 In this gorgeous hardcover book, Jessica has written down the process and steps she goes through when putting together her pieces of lettering, from sketching to vector drawing and everything in between. If you want to study illustrated lettering, like the type seen on posters, and magazine and book covers, this is a great addition to your lettering library! Jessica includes pages and pages of samples of her work, including package design, the typography for movie credits and projects for Mailchimp, Pinterest and gift card design for companies like Target, McDonald’s and Victoria’s Secret. These are all a sure bet to inspire you and help you grow in your lettering skills! 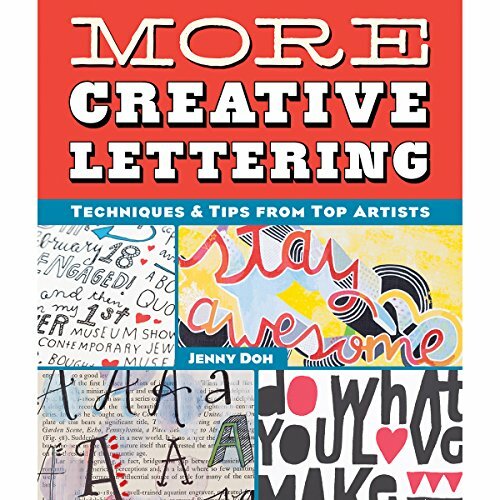 This one is a bit of a cheat because it’s two books, but both were put together by hand-lettering artist, Jenny Doh, full of tips, techniques and project ideas from a group of really talented hand-lettering artists. What makes these books really fun is that it includes so many different types of lettering styles. The artists’ approach to their work, the methods of lettering and the projects are all so different and give you a wide range to study as you grow your lettering skills. 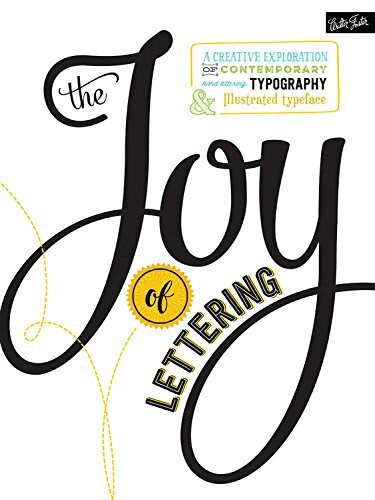 This book is divided into four sections, with each of the authors taking on different subjects about lettering and includes Modern Calligraphy, Illustrated Lettering, Chalk Lettering and Lettering Crafts. 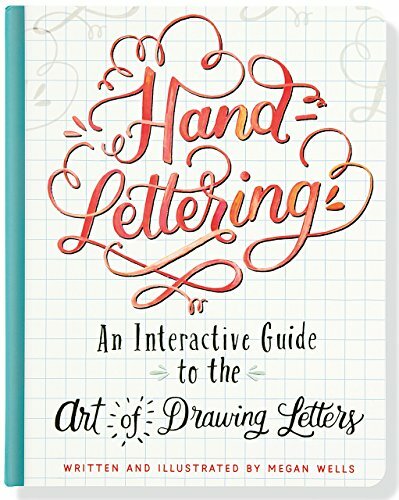 The illustrations make the book fun to read through, with many of them giving specific examples of things like posture, the basics of hand-lettering and a guide to pencil hardness. Megan walks you through several different styles of lettering, creating composition guides and word hierarchy in these beautiful pages. Hand-lettering doesn’t have to be done with a specific tool and there are several chapters devoted to various methods like watercolor, acrylic and colored pencil lettering. The last third of the book includes lots of really fun and gorgeous projects to inspire you as create art to give or sell (or keep all for your proud artist self!). 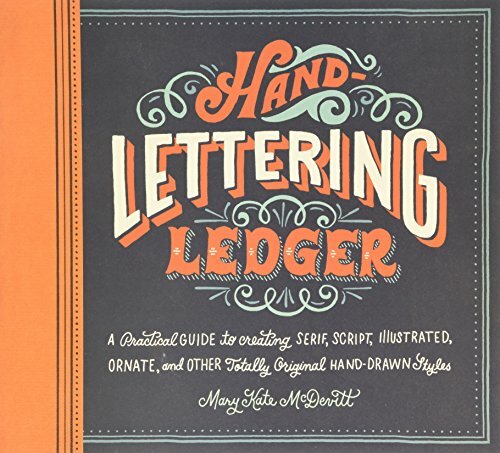 Mary Kate is a rockstar in the hand-lettering world and she’s written a book that includes a chapter on “The Dos and Don’ts of Lettering” and ten chapters devoted to different styles of lettering. She also includes lots of practice pages (it’s more than half the book) you can use to keep your lettering composition balanced. 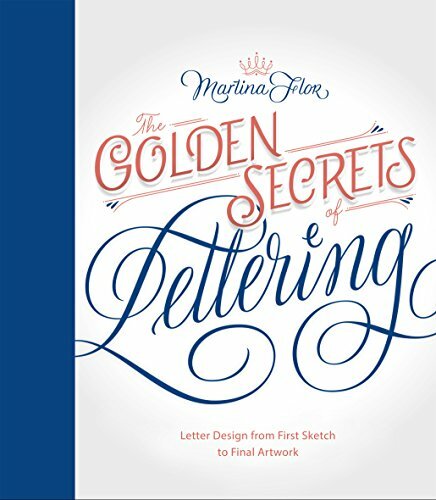 Martina’s book doesn’t actually come out for a few more weeks, but it’s available for pre-sale and you’re going to want this one for your lettering book collection. From the book description: “Readers learn how to train their "typographic eye" by studying lettering samples and the anatomy of letters; explore concepts of hierarchy, composition, and flourishes; and discover the many different ways of creating letter shapes. In addition, Flor explains the process of creating a lettering project step by step— from start to finish, from analog to digital—and gives valuable tips about how to make a career as a lettering artist.” You can see the gorgeous images from the book on Martina’s website here. If fancy, flowing script and brush lettering aren’t where you want to spend time studying lettering, Goodman’s book is a perfect choice! 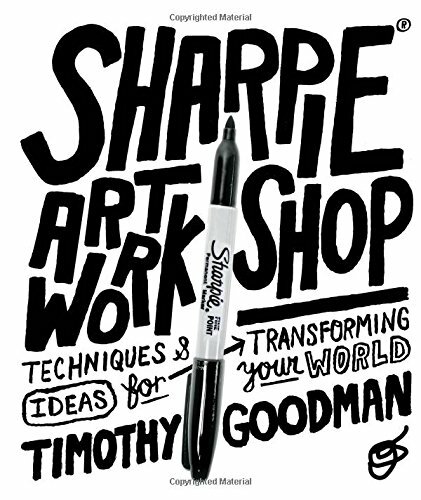 Along with a few pages on the many different types of Sharpies you can use, the book is filled with examples that will make you want to bust out every sharpie you own and write on everything. He shows lettering being done on cars, walls and high heel shoes and while you may not literally want to go Sharpie up your world, the lettering is fun and creative and includes plenty of inspiration! 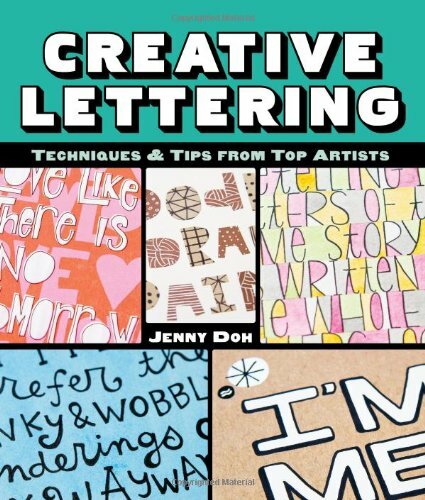 There's at least one book in here for all types of lettering artists at all different levels. While reading through them won't magically improve your lettering, taking note of the tips and lessons in them will help give you some tools to put in your lettering memory bank as you practice your heart away on making your art reflect the messages you want to share.